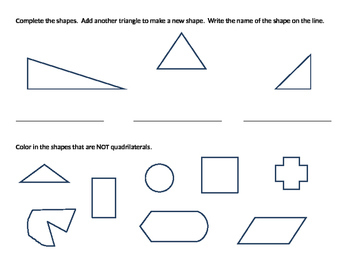 These are a few resources I made to help teach math to my 2nd graders. 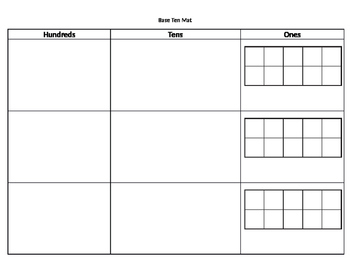 One page is a mat I used - printed on card stock and laminated - for laying out the base ten manipulatives. 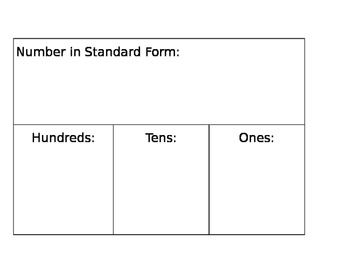 Another page has blocks for students to expand the numbers. I printed these and put in page protectors to make them reusable. 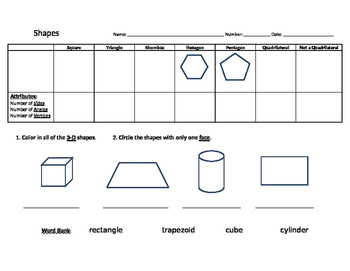 The last two pages I used when teaching shapes.